City Lights is a Scottish television sitcom made by BBC Scotland and set in Glasgow. 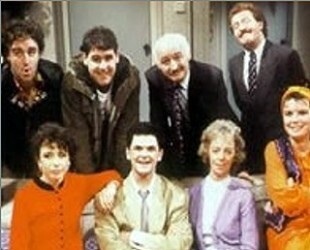 It ran from 1985 to 1991 (networked 1987 to 1991) and was written by Bob Black. Two stage shows, featuring the original cast, toured Scotland. It starred the late Gerard Kelly as Willie Melvin, a bank-teller at the fictional Strathclyde Savings Bank with dreams of becoming a novelist.